Jeff’s Autohaus in Bellevue is also here to service both foreign and domestic vehicles. Owners may assume their vehicles are in better hands at the dealership’s auto repair shop. That may have been true a few decades ago, but our newest location Jeff’s Autohaus, specializes in high end European imports. Our team of experts are well-trained and highly experienced at performing all of your import’s repairs and maintenance. And we won’t charge you an arm and a leg! The bottom line for any auto service is trust. When you find a import service specialist, you should keep them on standby. Jeff’s Autohaus has a team that And you can trust our team to provide services on par with, if not better than, any dealer or general repair shop. We use the industry’s most advanced repair tools and equipment. To complement our advanced repair skills, we stay abreast of all new technologies to better service your Volkswagen, BMW, Mercedes, Audi, or Volvo. Come to Jeff’s Autohaus first to receive the best foreign auto repairs in Bellevue. At Jeff’s Autohaus, you’re more than just a number. Our clean and consistent maintenance services for your vehicle are the key to enhanced performance. When you bring your import to a general repair shop, you’ll find that their techs treat your vehicle like all the others in their garage. Jeff’s Autohaus understands that your import needs special attention and treatment. Our experience, research, and advanced training make us the best option in this area. Bring us your vehicle so that we can put you on the appropriate service plan. We can handle any auto repair from routine oil changes to complicated engine repairs and replacements. Get the most out of your investment by trusting all your vehicle’s services to our experts. You purchased a high-powered vehicle with exceptional performance standards, and that’s pretty much what the manufacturer’s gave you. To continue your high end vehicle’s quality performance you need the dedicated specialists at Jeff’s Autohaus in Bellevue. There’s no better place to receive quality automotive repair in the Greater Eastside than Jeff’s Autohaus in Bellevue. Give us a call today at 425-644-7100 to schedule an appointment for quality auto repair services. We’ll be able to put you on a schedule that keeps your engine at peak performance. 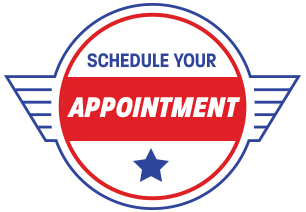 If you’d like to schedule an appointment right now, go ahead and use our convenient online scheduling system. Just pick a day and time that works best for you! Next time you’re in the Bellevue area, stop on by 14121 NE 24th St. We welcome all walk-ins!